At Sydney Flooring, one of our main objectives is to ensure you are selecting the right type of timber flooring for your home. We understand that everyone has different preferences when it comes to colour, texture, style and overall look and this is why our range of options is so expansive. In fact, our customers have more than 20 different Australian and international timbers to choose from. One of our most popular international timbers is Kauri Pine (Damar Minyak) which comes directly from Malaysia. This rich heartwood timber is an excellent option for flooring – read on to learn more about its origin and composition. It is important to firstly note that Kauri Pine or Damar Minyak is a very common timber which is sourced from around the world and has many different names. This type of timber is known as Kauri (Australia and New Zealand), Kauri Pine (Papua New Guinea), Almaciga and Dayungon (Philippines), Ndaku (Fiji) and Tulong (Fiji). Damar Minyak stand tall in the forest. In fact, in Malaysia alone, Damar Minyak has several regional names which come under the umbrella of the scientific name Agathis bomeensis Warburg. Our Damar Minyak originates from the jungles of Malaysia – growing in hot and humid conditions. 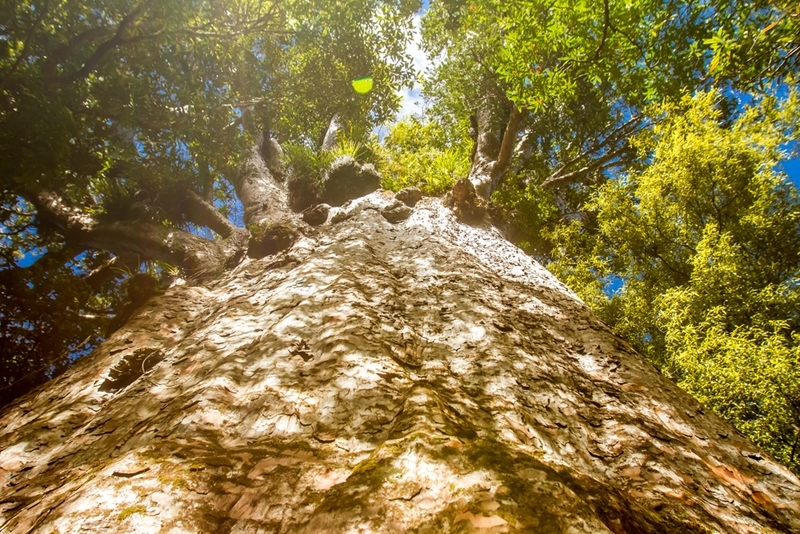 For any plant, this can be tricky, but the Kauri Pine stands tall and proud in the jungle, reaching up to 55 metres at a diameter of 3.5 metres. However, it also grows in most areas of south-east Asia, from sea level to very mountainous regions – making the timber sturdy and strong. In a recent article, we described the differences between softwood and hardwood timber. Damar Minyak falls into the former category, with a density of 360-660 kg/m air dry, according to the Malaysian Timber Council. This makes Kauri Pine a great choice for everything from flooring and furniture to decking and joinery. As for its look, Damar Minyak is described by the council as a pale yellowish brown heartwood which sometimes offers a pinkish tinge. The texture is usually very fine and even with a straight grain. It is also free of brittle heart – ideal for flooring. However, as it is a softwood timber, Kauri Pine is probably best used in low traffic areas such as bedrooms or households without kids or pets. This said, Damar Minyak will still stand the test of time and remain a beautiful timber in your home for years to come. Although Kauri Pine will continue to have a strong presence in your home over countless decades, there are a number of preventative maintenance tips you should adhere to. Over the long term, one of the most important is protecting the rich colour from direct sunlight which can cause discolouration. This is particularly vital during the summer months so remember to close curtains and blinds when the sun is at its strongest. It might also be a good idea to place protective padding on the bottom of chairs and furniture in your bedroom. Although the timber won't scratch under normal circumstances, it's better to be safe than sorry when it comes to an investment such as flooring. Lastly, with all wooden floors, any spills should be immediately cleaned up. For example, if red wine is left for prolonged periods, it can cause permanent damage to the surface. Again, installing wooden flooring is a major life decision so you'll want to protect it as much as possible. If you would like to learn more about Kauri Pine flooring, get in touch with the team at Sydney Flooring today – we look forward to speaking with you in more detail. Tasmanian Oak – what can it add to your home?